Meteorology has ancient origins. Babylonian clay tablets record confident predictions of the weather from the appearance and location of stars. The attempt to explain terrestrial phenomena by celestial events was common to many civilizations: the weather was embedded in a conception of the cosmos. With the Earth understood as being the centre of the universe, meteorology was closely connected to astronomy and astrology. Since everything literally revolved around the Earth and its inhabitants, the changing patterns visible in the heavens suggested complex influences pouring down on the terrestrial realm. The earliest systematic treatise on meteorology was written by the Greek philosopher Aristotle (4th century BCE). His Meteorologica is much broader than the modern subject, covering everything that occurs in the realm under the Moon. This included not just clouds, rain and meteors but also marvellous and rare phenomena such as comets, and the substance and changes of the earth itself. 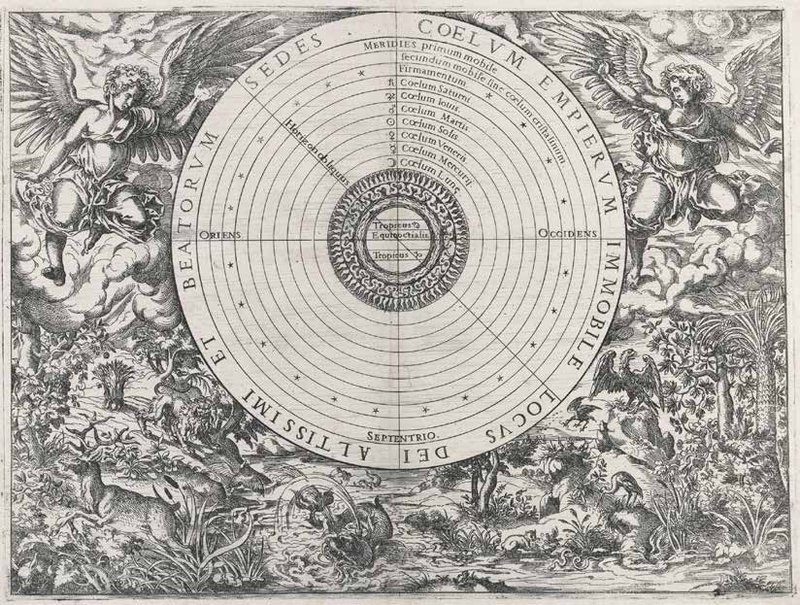 The Earth-centred universe in a 16th-century engraving by Jost Amman.